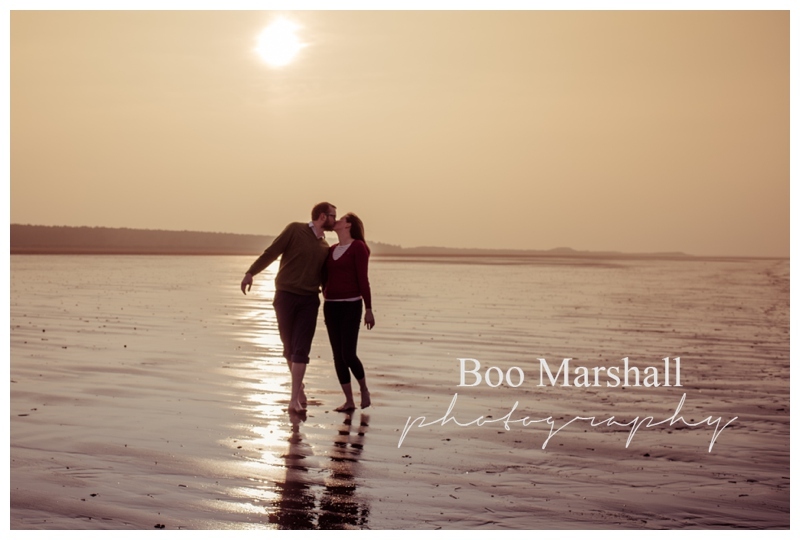 When Rose and Chris booked me for their wedding, I was extra excited. 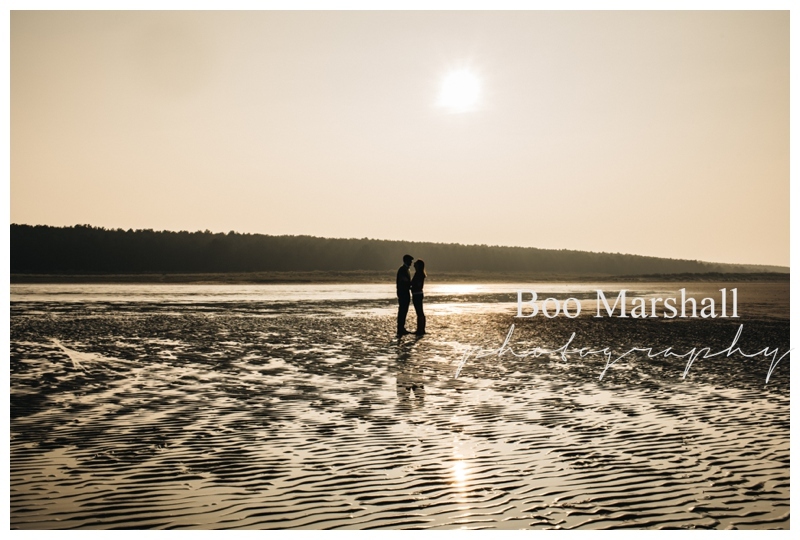 Not because of the beautiful outdoor theme they had planned for their wedding; and not because they are a genuinely connected couple who are clearly very much in love and absolutely right for each other. But because Antarctica is on my bucket list and that’s where they met and fell in love! 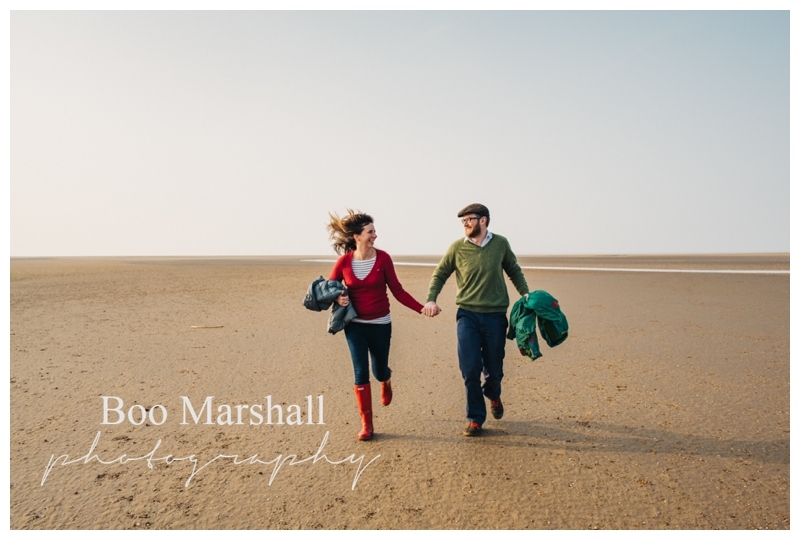 During the pre wed shoot, they explained that they’d both gone there and on expedition, living there for a year as they carried out their research work and falling in love! Well, talk about Love In A Cold Climate! 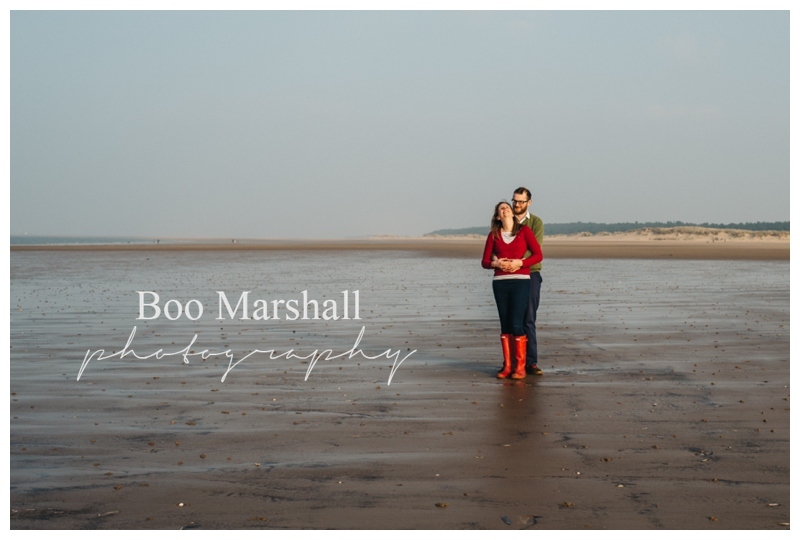 It was clear from the outset that the outdoors and the natural world is very important to both of them; they are clear that they’re not interested in their photos being taken inside buildings, no matter how beautiful, but want to see themselves with the natural environment – and this certainly held true for their pre wed shoot! 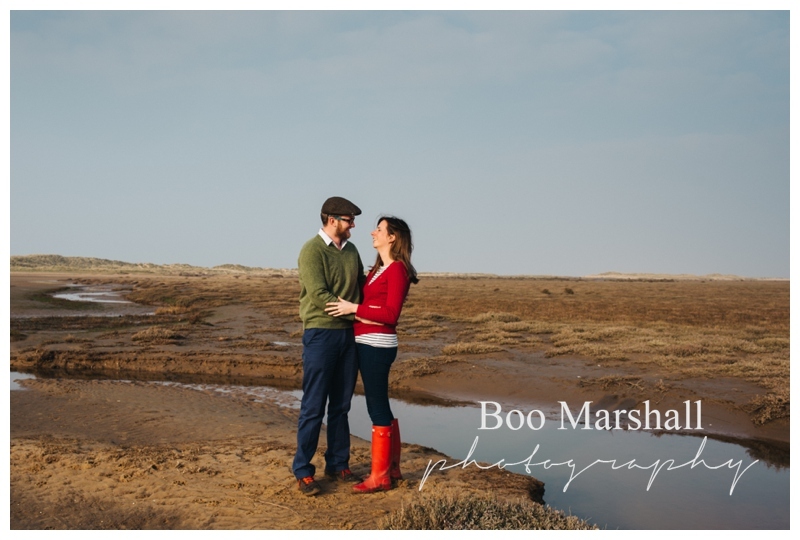 Both Rose and Chris love North Norfolk – (well who could fail not to love our wide open skies and sea) – and very much wanted their engagement shoot to take place by the sea. 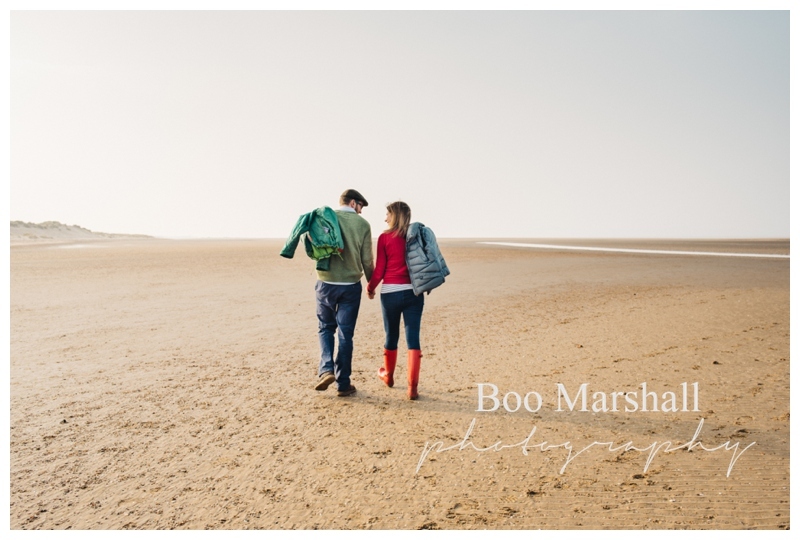 Because they don’t live in Norfolk we had to arrange a date when they were coming back to visit family and that meant March- not exactly the warmest time of year to have a seaside trip. 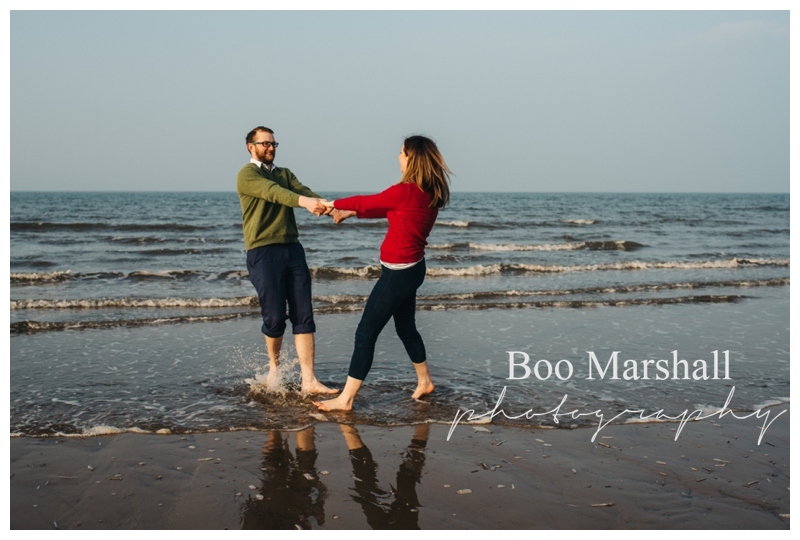 But, as you’ll see from the photographs, the North Sea in March doesn’t phase a couple who lived in Antarctica – and I guess the sharp winds and icy sea were balmy when you’re used to a mean annual temperature in parts of that vastness of -57 degrees C! 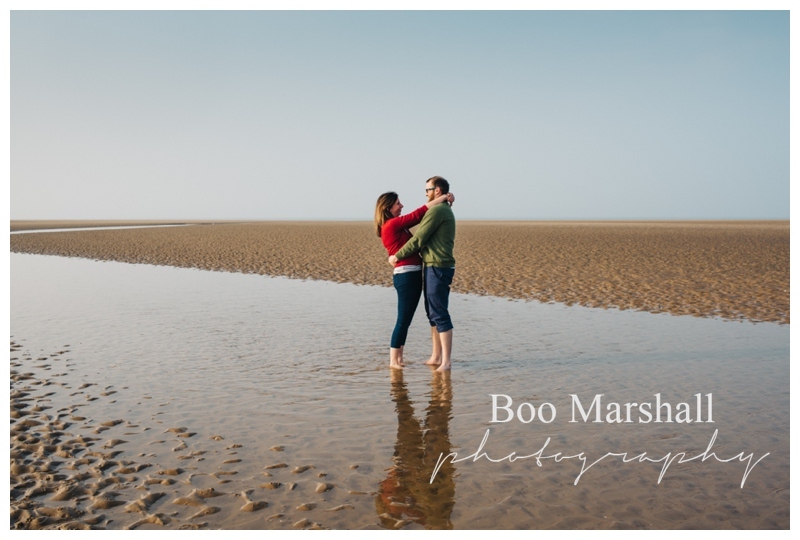 After navigating muddy swamps and tidal inlets, it wasn’t long before Rose whipped off her socks and boots and started paddling, followed closely by Chris! 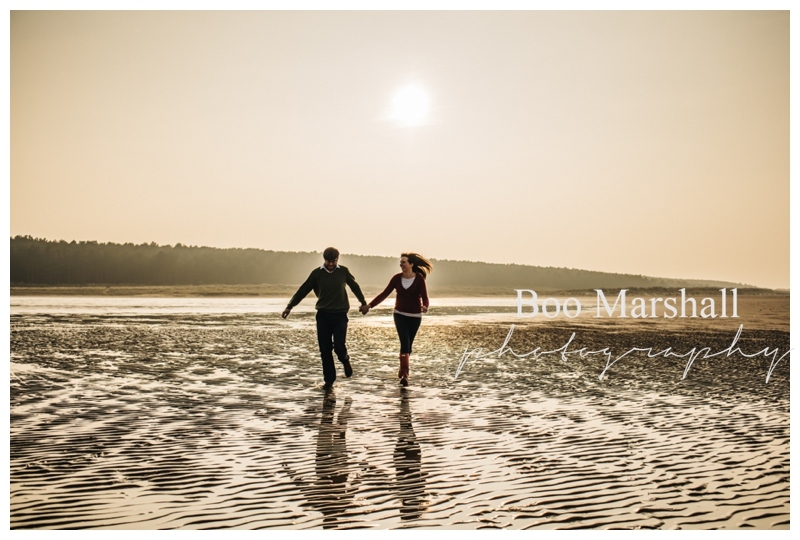 And I was so pleased they did – the photographs absolutely capture their spontaneity and love of the outdoors. 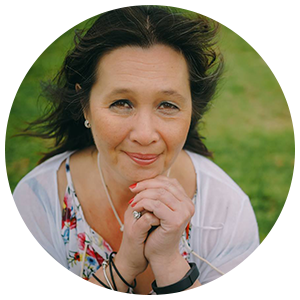 And did I mention that Rose, a hospital doctor had come straight off a 36 hour shift, caught a quick nap in the car as Chris drove her to Norfolk and then tumbled out of the car looking as amazing as she does? 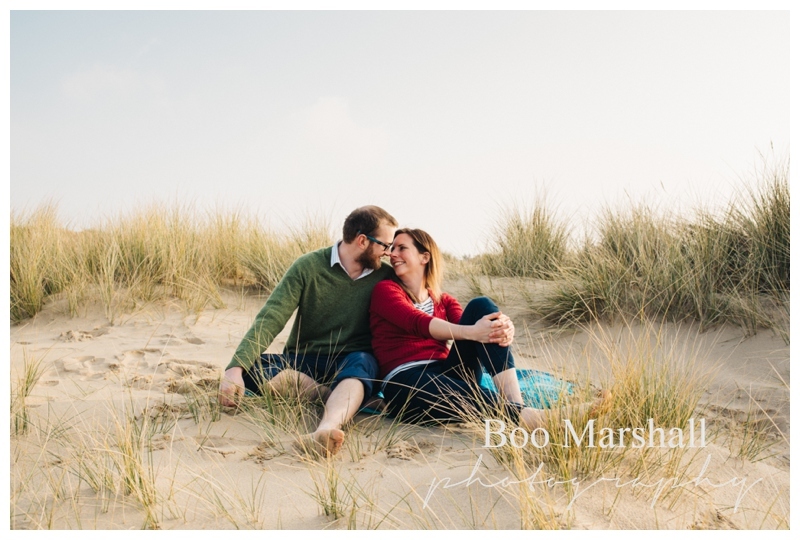 I hope you enjoy the pictures and if you’re interested in having a pre wed shoot as part of your wedding photography package, then please get in touch.